Cedar Valley TechWorks economic development | Vandewalle & Associates, Inc. The John Deere Tractor & Engine Museum, now open as a major visitor destination. The renovation of the “Tech 1” building into TechWorks innovative space for collaboration, research and small manufacturing. This collaboration will be facilitated through the University of Northern Iowa’s Metal Casting Center and Design Lab, additional flexible manufacturing space, Makerspace, and physical and virtual collaboration opportunities to connect a deep network of industry players. “Tech 2” Business-Class Hotel with 180 rooms, boutique restaurant, and facilities for John Deere Corporate Training (see transformation graphics and photos from InVision Architects). 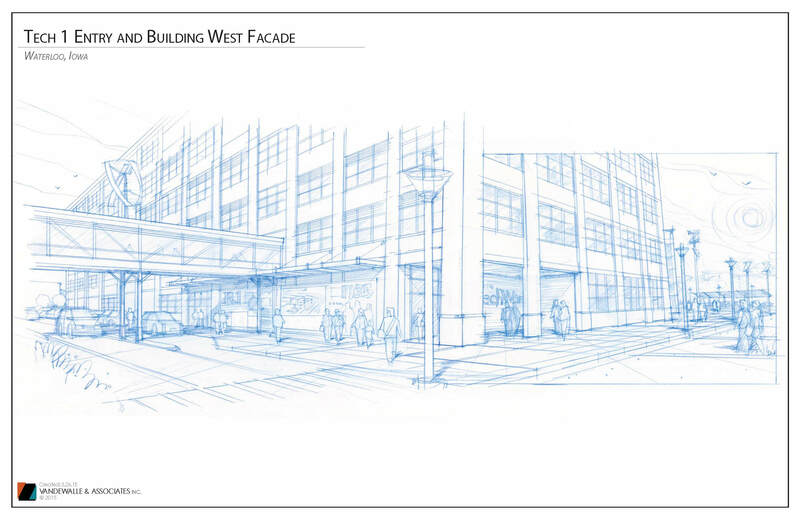 After helping develop the business model and site plan, Vandewalle & Associates was retained by the Waterloo Development Corporation to implement the plan and seek funding for building renovation and site preparation. The State of Iowa awarded 3.2M in IEDA funding. 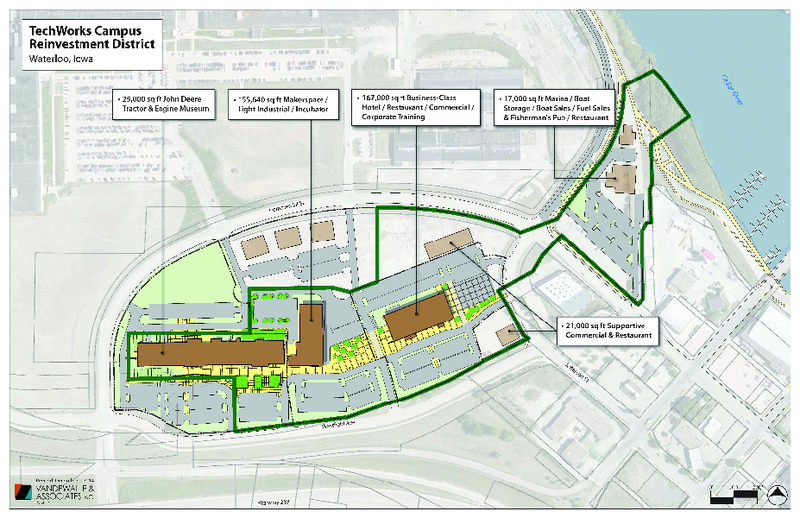 Deere & Company subsequently awarded the project millions of dollars toward building demolition and renovation. Partnerships. 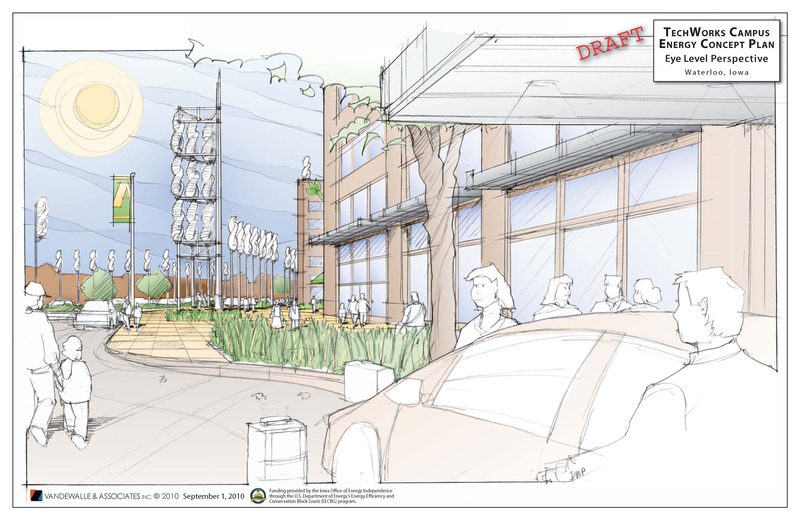 The concept quickly gained momentum and early partners included Deere & Company, University of Northern Iowa, Hawkeye Community College, Cedar Valley Makers, Marriot Hotels, and Financial District Properties. 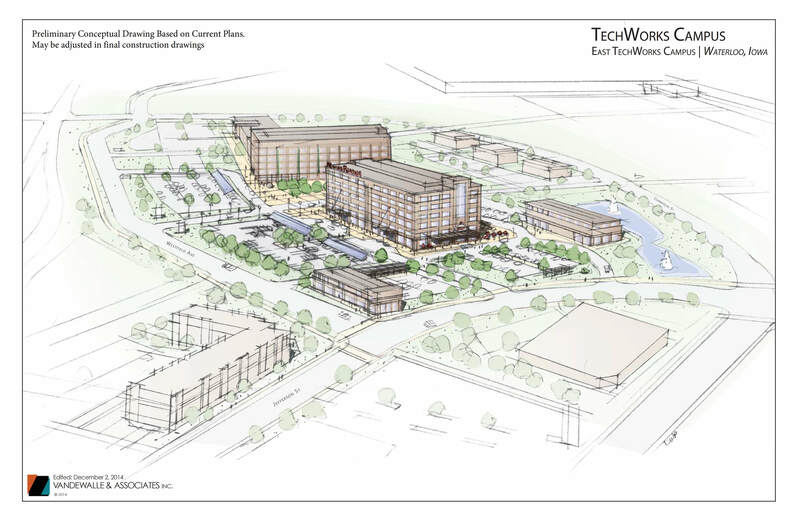 Jobs – The TechWorks project is creating short term jobs building and installing infrastructure and renewable energy systems at the facilities, as well as long term jobs within the components of the campus. The economic activity produced by the project is also poised to create indirect jobs in the community. Taxbase – TechWorks is resulting in a massive investment of private dollars into properties that are currently underutilized. Workforce Recruitment/Retention and Community Image – In today’s global economy, companies must offer a high quality of life and amenities that bring top talent to consider living and working in the community. 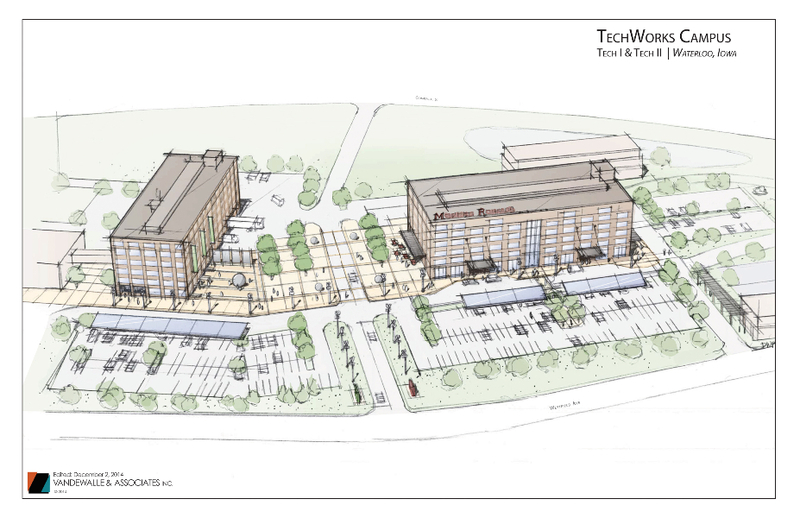 By creating a unique, innovative project that also helps drive the vitality of the entire downtown, TechWorks is dramatically enhancing the image of Waterloo. Visitor Spending – As visitors come to Waterloo to experience the John Deere Tractor & Engine Museum, for training or business, to utilize complementary visitor services on campus, or for conference accommodations, this globally significant energy and technology showcase is drawing in even more visitors.